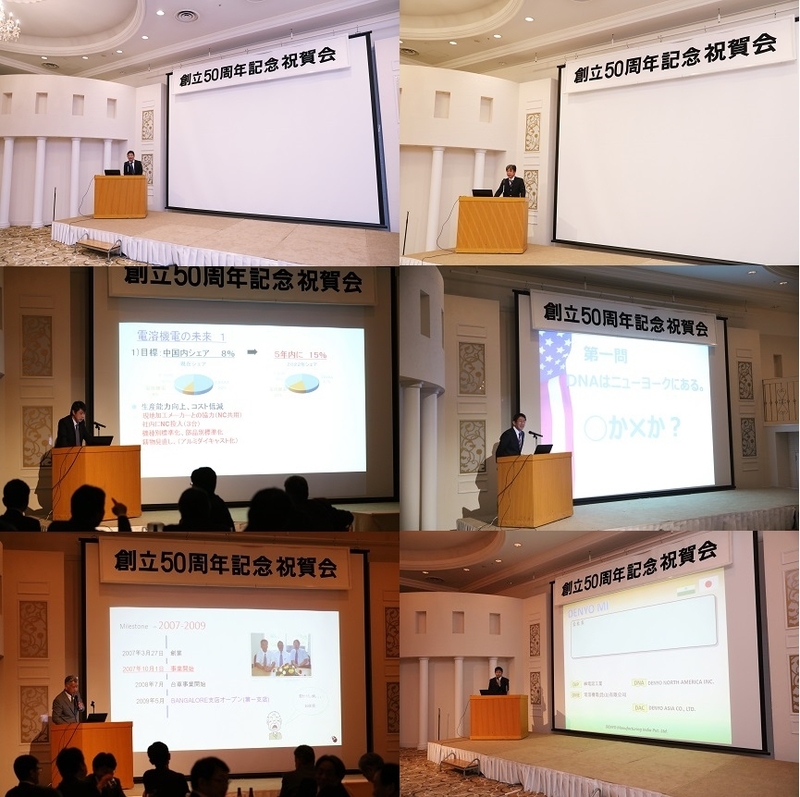 Denyo Kogyo’s fiftieth business anniversary celebration and banquet :: Denyo Kogyo Co., Ltd.
Denyo Kogyo commemorated the fiftieth business anniversary on Dec. 16th this year. 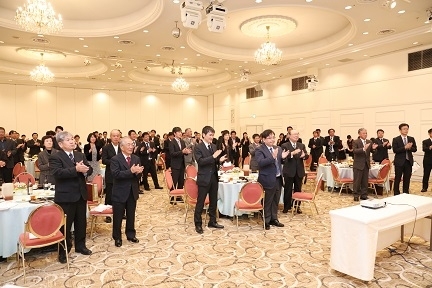 The ceremony and banquet were held at The Bellclassic Kofu on Nov. 9th prior to the anniversary. President Nakamura personally welcomed the guests at the reception. The celebration started with the Denyo Kogyo’s company introductory movie (left). Toshiyuki Nakamura, Denyo Kogyo’s managing director, made an opening speech (right). Congratulatory messages were delivered by the guests of honor. A slide show of Denyo Kogyo’s company history was presented (left). Haruo Nakamura, CEO of Denyo Kogyo, made a speech and brought some memorable episodes on the early days of Denyo Kogyo (right). The outstanding contribution award was presented to the recipients as a surprise. A Celebration toast was held prior to the banquet. Congratulatory telegrams and video messages from Denyo’s global companies were presented. Each head of the Denyo’s business entities presented their future vision. President Nakamura spoke of his thoughts for the future of Denyo Kogyo followed by “Sanbonjime (rhythmical hand clap for cheer-up)”. 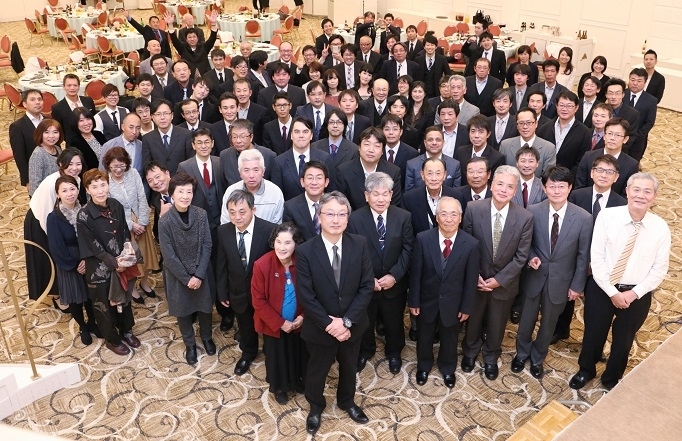 A commemorative group photograph was taken at the end of the banquet.